When Joanne's clients need an interior design or cover, then she is at hand to do the design work. At first she wasn't sure of her skill level, but in the last few years she has designed several books with half or more text, and clients have been happy. Joanne says that photographers like her style because It is simple and highlights the art of the photographer. Since she is herself a photographer, she appreciates the appeal of a simple but elegant design that doesn't take away from the images. Jeff has been producing 12" x 9" oblong soft covers with flaps for many of the films he is in for a couple of decades. Joanne has been responsible for laying out the books until a few years ago. She talked Jeff into using photographs on the covers and as a result she can thank Jeff for her present skills at Photoshop as she learned how to work with images to fill the necessary spaces. We print all his backstage books. Note from Joanne: For years Jeff would write out each caption on sheets and we would have the printer place them under the images. Then things changes when Quark came along and Joanne learned how to manipulate the images and put in the type. Finally InDesign came along and that streamlined everything. Joanne designed the covers above except for True Grit and Tron, those were designed by Ethan Boehme. Blown Away was the first photographic cover. I was excited when Joanne agreed to help me with my book, Cabrillo National Monument, because she has a long history of developing and printing beautiful books about special places. Joanne carefully and patiently guided me through the publication process. She created a beautiful design for the book and drew an artful map. She provided many ideas on the organization and structure of the book. She handled all communication with the printer skillfully and fine tuned the photographs for offset printing. Bill's books can be purchased at the gift shop at Cabrillo National Monument in San Diego. I have worked with Bolton Associates as my right hand in publishing photographic books since 1987. Their service and dedication are excellent and key to my company’s success. Most recently Joanne Bolton transformed a large collection of botanists' submitted images into consistently professional files—from prepress through printing and binding this project enjoyed her attention to every detail for superb results. A magnificent job making several hundred photos, many difficult- ranging from professional catalog shots to antique black and white candid shots- all look beautiful. I couldn't be more pleased. Thanks Joanne. Our confidence in your abilities is once again well rewarded. I enthusiastically recommend the services of Bolton Associates, Inc. from my perspective of more than forty years in publishing, including positions as publisher of Audience Magazine, American Heritage magazine and books, and editor-in-chief of New York Graphic Society Books (volumes by artists ranging from Ansel Adams to Andrew Wyeth). 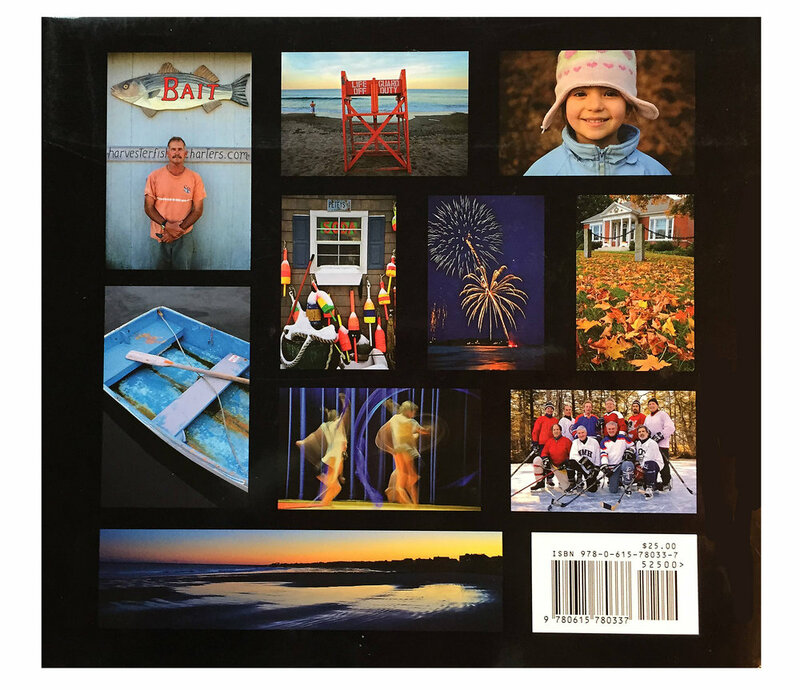 In recent years I have worked closely with Joanne and Derek Bolton on a wide variety of art books, some of them complex projects involving innovative production techniques. The true test of printing brokers and coordinators is their performance when inevitable problems arise, and in this regard Joanne and Derek are superb: always capable, constructive and --above all--creative. In addition to Derek & Joanne Bolton’s many skills, Joanne is a gifted book designer. Most recently she completed for us High Lonesome with photographs and text by Lloyd Baggs, and Dreamscapes with paintings and text by Renee Brown. Both books have been praised for the lyrical harmony of their designs and – with customary promptness and good humor – Joanne achieved superb results regardless of late changes and expanded author text. Graced by the Light was both a hard cover and a soft cover. Above is the hard cover printed cover, but to the left is both the soft cover cover image and the hard cover dust jacket image. Working with Joanne on my first book was one the best decisions I have ever made. Joanne is such a wonderful partner in the process, her expertise is obvious but it was her personal interest in my success that encouraged me to even do a second book! When you decide to team up with a person who does it for the love of the art it make all the difference in the world. Bob McGrath received an IPPY medal for his book Seacoast in 2016.